Every superhero is only as good as his sidekick. Well, even if it’s not true, I’d like to think that’s how Nate Brown (founder of Rookie Class) and myself operate when it comes to the NBA. As the newest member of the Class, consider these my first playing minutes off the bench where you can get a taste of what I’m all about. My name is Connor Getz, and I am currently a senior at Springfield College majoring in Communications/Sports Journalism. Along with my love of basketball I have a natural knack and passion for the world of entertainment. I write TV show and movie reviews for MassLive.com’s Entertainment section and for the campus newspaper, The Springfield Student. My campus endeavors also include directing and producing the SCTV3 live weekly news show. My favorite TV show is Lost, and my favorite movie is Silence of the Lambs, but let’s get back to ball. Growing up in a family with extremely little sports interest (especially NBA) gave me the blank slate I needed to choose my own teams and favorite player, however, that loss of influence prolonged my love of sports and basketball until I was 10. For Christmas I got a PlayStation 2 and it didn’t take long to get my hands on NBA Live 2003 with Jason Kidd on the cover in a (then New Jersey) Nets jersey. 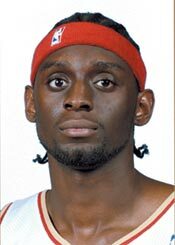 It didn’t take long for me to fall in love with basketball in a time when the NBA Live franchise was much stronger than it is now.Rather quickly, my passion for the Cleveland Cavaliers grew exponentially fueled by the athletic Darius Miles. Despite his short career and problems both on and off the court, he was my hero and is responsible for my extreme loyalty to the wine and gold. The question I receive most often is: “Are you still a Cavs fan without LeBron?”, to which my answer is: “I was a Cavs fan before LeBron, I’ll be one long after”. It’s especially fitting my first post is today as Cleveland has won the first overall pick in the draft for the second time in the last three years. I love what they’ve been doing to rebuild. 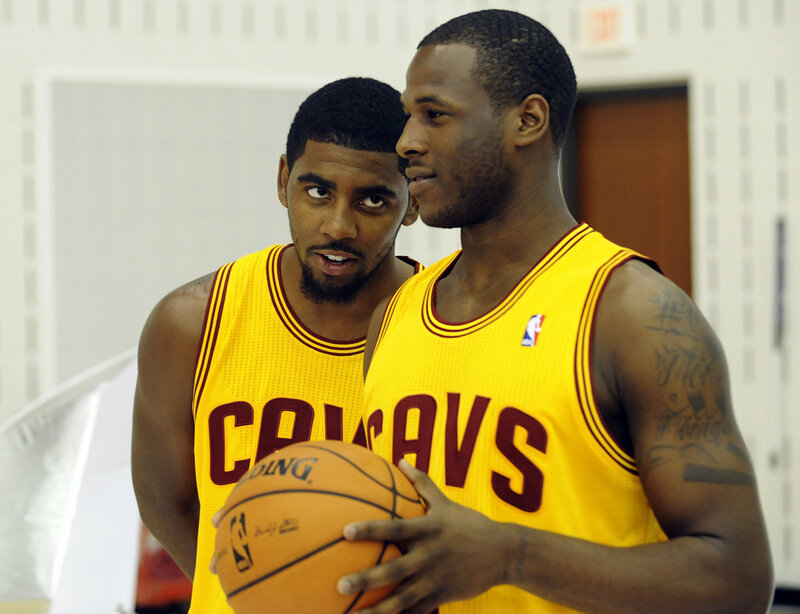 Drafting Kyrie Irving was huge, Dion Waiters has provided the necessary firepower, Anderson Varejao was starting to make huge changes in his all-around game before his season-ending injury, the trade with the Grizzlies gave them Marreese Speights and Wayne Ellington who are excellent relief from the bench, and role players like Tristan Thompson and C.J. Miles are beginning to get comfortable in their roles as well. The player talent is obviously there and the young guns are beginning to blossom, but the head coaching position has left me scratching my head for a few reasons. First of all, Mike Brown was fired the year that LeBron took his sorry keister to Miami which is understandable because Cleveland wanted to do a lot of cleaning of the James-era to start over fresh. 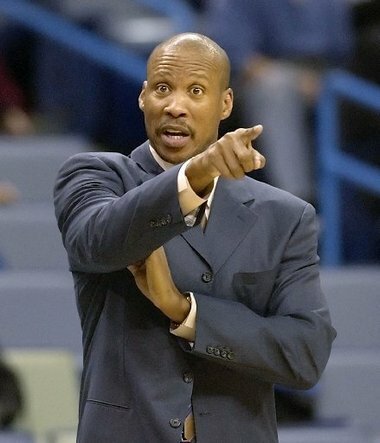 Cue Byron Scott, a phenomenal talent during his players years and two-time Coach of the Year. Over his short two-year stint with the Cavs, Scott seemed to be responsible for the increasing talent of the players as individuals and as a team, that’s why there’s no surprise that fans as well as Scott himself were shocked to hear that he was fired just last month. But, for who? Mike Brown is back and it’s by no means a move that I’m upset with, but genuinely confused by. Give Scott the reigns of a young, up-and-coming team in the Eastern Conference and then strip it away for the return of the man you fired only two years ago. The formula is mind-boggling, but all I know is that as long as Kyrie is still the general, Cleveland is in good hands. I’m excited to be a part of NBA Rookie Class, and am thankful Nate has brought me on! It’s going to be fun bringing you guys all the latest on the great young talent in the league. Don’t forget to follow me individually on Twitter @C_G_FOE and NBA Rookie Class on Facebook and Twitter @NBARookieClass.